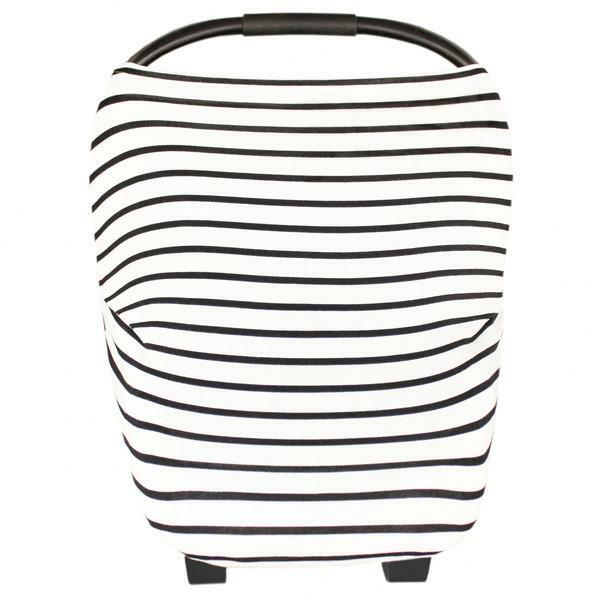 All things striped edition! I promise to not go in public wearing all three as sure to be mistaken for a zebra, a sailor or a prisoner. With the addition of Caden I feel like I am often fumbling around when we are out and about. Carrying the car seat in one arm, holding Grace’s hand with the other and trying to balance my purse/diaper bag somewhere in between without dropping the keys. 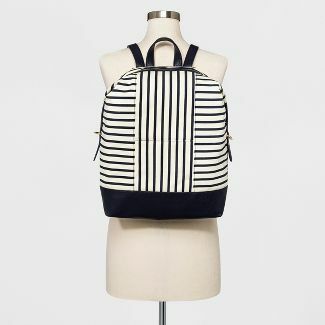 I am considering buying a backpack to function as both a purse and diaper bag to help free up my hands a little. I thought my backpack days were over after high school, but the functionality may be proving me wrong. I never nursed Grace in public, she was a difficult one to nurse, I didn’t feel comfortable and hated my nursing cover. I always felt like I was half exposed and I think she could sense my discomfort, so to the bathroom, car, fitting room, anywhere I could hide we would go. It was such an inconvenience and it seemed like I would miss half of Mass. A friend recommended this nursing cover, which is basically like an over-sized shirt and I fell in love. It also functions as a car seat cover, which I used a lot before winter to keep a breeze off of Caden when we were outside for walks. 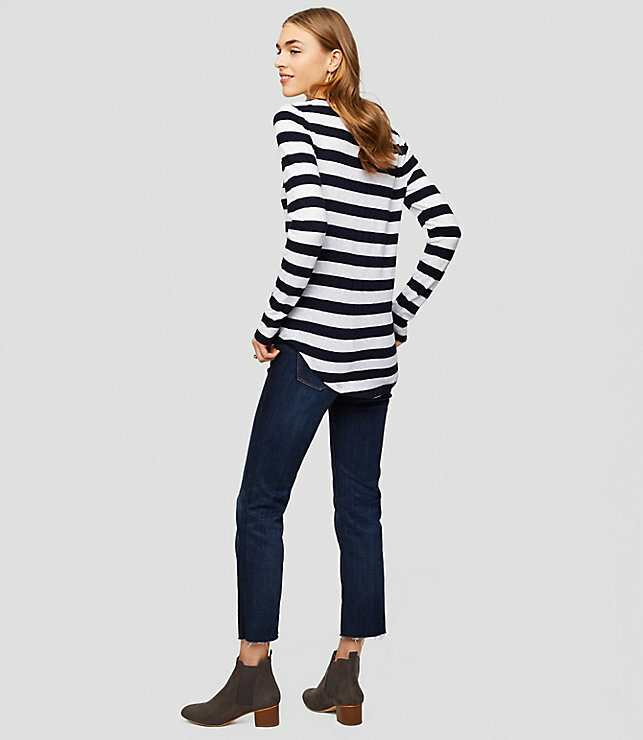 Besides the great stripes and a nice spring look, this shirt also has a long shirttail and looser fit which I am all in favor of these post-partum days while trying to lose baby leftovers. I definitely need to look for a backpack like that with 2 in diapers! I haven’t seen it, but will give it a try. Caden is a load, but it’s too cold to not have him snuggled in his carseat!